This document provides guidance on reviewing the standard Personal Equity Compensation Profile (PECP) report created by StockOpter.com® using the template provided in the system (see Appendix A for the sample reported used in this guide). The standard PECP report contains all the major tables and chart produced by StockOpter.com. It serves as a framework for reviewing an individual’s stock and options holdings. This guide suggests key points and concepts to focus on for each table or chart in the PECP. 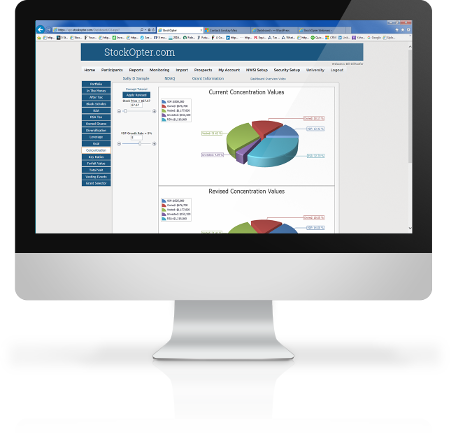 It is designed to be used in conjunction with the “Concept Videos” contained in the www.StockOpter.com Dashboards. For more information on the concepts addressed by StockOpter.com visit the StockOpter University. www.stockopter.com/university.